Additional Info: All bed lining are provided plus dishcloth and tea towels. Welcome pack consist of bottle of wine, tea, coffee, sugar, milk, soft drink and pack of biscuits. Washing up liquid, bin bags 2 toilet rolls, liquid hand soap also is provided . Towels are not provided. 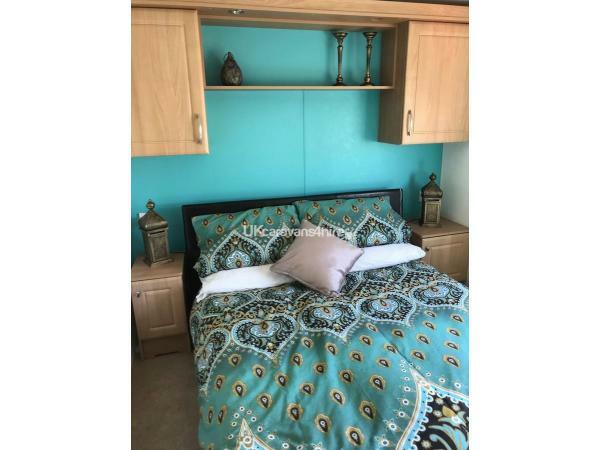 A £100 deposit will secure your booking, This will be held as a security bond and returned to you 7 days after your holiday, This is to cover any damages, missing item or excessive cleaning. The full balance must be paid 4 weeks before your arrival date. Bank holiday weekends will be more than £100 per night. 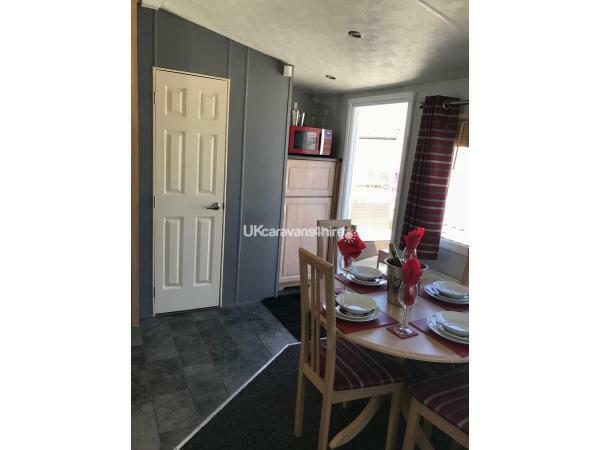 This static caravan consist of 2 bedrooms - 1 Double with w/c and basin and 1 twin room. 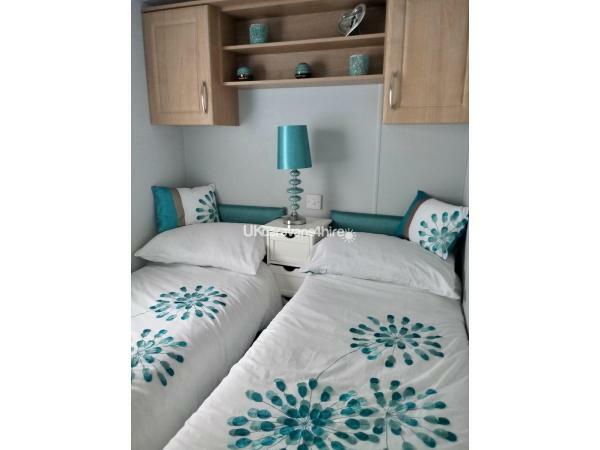 1 double pull out bed in the lounge. 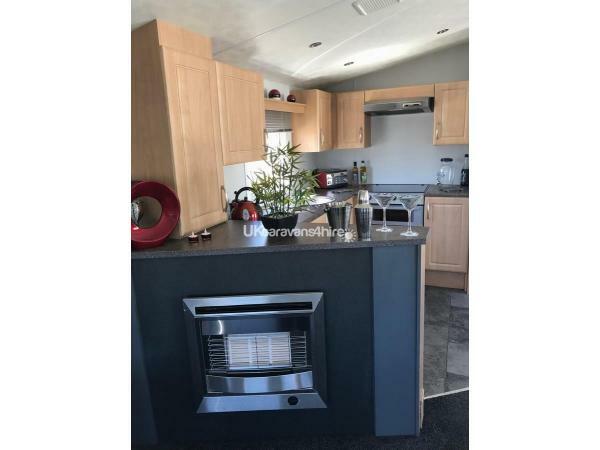 Central heating, well equipped kitchen, TV with DVD player, Shower room/WC/Basin, Hairdryer, Veranda with wicker seating. 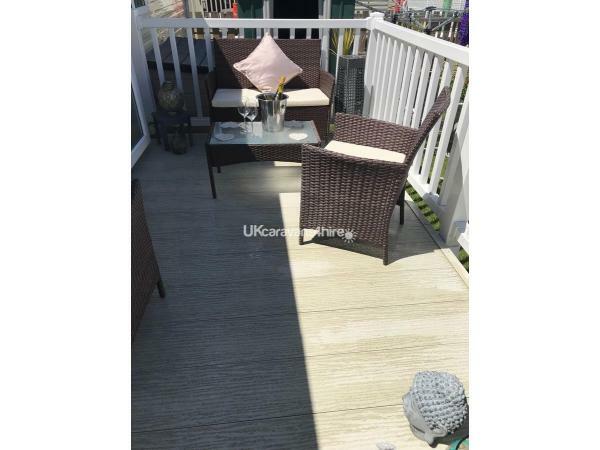 Small garden with washing line, table and chairs, large lockable storage box for suitcase's or children's bikes . Hayling island has so much to offer. The beach is very clean never over crowded plenty of parking or its a 10 min walk from the holiday park. There is plenty of free disabled parking and section of the beach has been made disabled friendly. Hayling Billy train runs along the the beach front from the funlands funfair to west point. A few bar's on the front serving great food. Inn on the beach bar/restaurant, The Ferryboat bar / restaurant. Plenty of fish and chip takeaways / restaurants. Indian and chinese restaurants, takeaways, or will deliver to the caravan. Take a tour round the island on JIMM'S Boat, Jim will tell you lot's of info about the island and Porstmouth history. Leaflet about this tour can be found in the caravan. Hayling Billy trail, great for walking or cycling. Langstone harbour cafes and bars for that relaxing afternoon drink. Megham is the shopping center on the island plenty of Bank's, Pharmacy's everything you should need. 10 min walk from the holiday park. Havant is the closes town just off the island, 15 mins on the bus, Bus stop just outside the holiday park. Portsmouth has plenty of intresting places to visit. Historic dock yard, the Mary Rose, HMS Victory, Ferry to the Isle of Wight. Gunwharf Quays great shopping outlet. Portsmouth is about 20 mins by car. Chichester. Take a visit to the beautiful Arundle castle or lovely riverside walks, Great town for shopping. 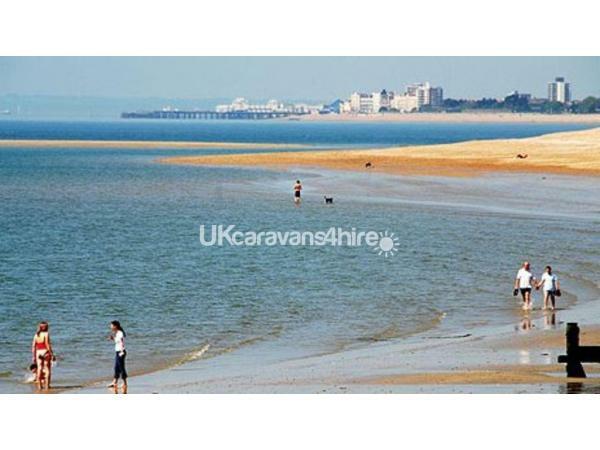 Hayling island is a great location for getting about to visit other places of interest or just relax on the island. Reefs bar and restaurant, serving Breakfast, Lunch and evening meals, also Costa coffee. Oceans for your nightly entertainment and children's daytime fun club. Heated indoor pool plus Infants pool and jacuzzi. Outdoor pool with sun with loungers. Amusement arcade, Children's soft play area, outside play area. To use some of these facility's you will need a pass, Adult weekly pass £10, Child's weekly pass £8, Children under 5 years are free. No reviews found. 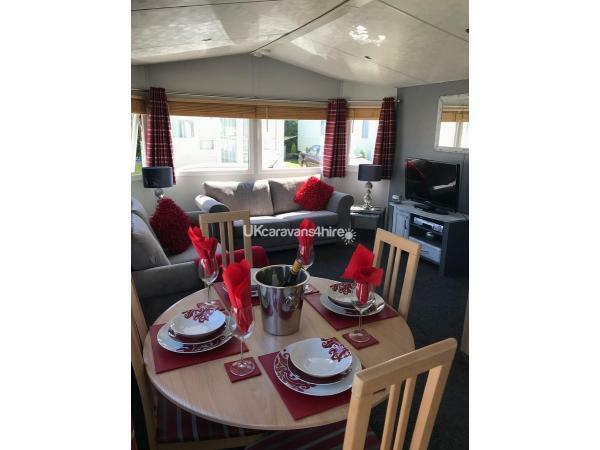 If you have recently stayed in this holiday home please leave a review, it only takes a few moments and will really help future guests when they are searching for holiday accommodation at Hayling Island Holiday Park.